Is Your Email Marketing Making You Consistent Sales? Email systems and automations are yours forever. Powerful email copy & campaigns crafted by experts. Big Sender takes care of EVERYTHING your store needs to make more sales with email marketing. Get Trackable Email Results… Done For You. On average 69.89% of shopping carts are abandoned. But a good abandoned cart email sequence typically wins back 10-15% of those lost orders. We setup this campaign & many others for you. The emails we send for your increase your stores web traffic (and sales) by directing engaged email subscribers to your most products. We craft high-converting offers that visitors to your store can't resist. It's only makes sense they would sign up to your email list for more great deals. The most powerful and profitable automated campaigns are all included, so you benefit (without doing a thing), for as long as your store exists. We provide you with a timeline of planned promotions up to 6 months in advance. Add any campaigns you like and leave the email execution to us. Copywriting, images and your branding is created for every email sent by the machine. Your email system and automations are yours forever. Powerful email copy, content & campaigns crafted by experts. You get results or you get your money-back. All content sent by us is tested against spam filters so you never end up in your customer's Junk folder. We use tags to segment your subscribers, allowing us to send content tailored to only specific groups of your subscribers that have shown interest in it. Emails are now opened more on mobile than desktop, so ensure yours look good. We closely monitor the journey of every email we send and create reports on Delivery, Open and Click-Through Rates to constantly improve on them. Templates for your newsletters, promos, sales, and product launches are all available to your team for use anytime. An analysis of your store and its niche couple with our approval process ensures every email sent is aligned with your branding. Unengaged subscribers are removed from your email list so only people interested in your brand are marketed to. This is the most important email to send to new email subscribers. It’s focused on converting them straight into paying customers – and longtime raving fans of your brand. Introduce them to your brand, establish a positive relationship, provide value and set expectations. Treated differently to first-timers, returning customers already know, like and trust your brand. These emails offer tailored recommendations based on their previous behaviors. Customers abandon shopping carts 69.89% of the time. A well-performing abandoned cart email sequence typically wins back 10-15% of those lost orders for your store. Discover and record what product and categories individual users are interested in, and remind them about their favorite items (even if they never put one in their cart)! You will inevitably have customers that stop buying from you, this campaign is designed specifically to prevent that. We love using Klaviyo for ecommerce email marketing, but we know some of your have your own favourite software and we are happy to work withmost of the top Email Service Providers to make your stores email marketing a success. Your new email marketing systems will work seamlessly with your online store. We’re comfortable working with all major website & ecommerce platforms and solutions to ensure a great experience for yourself, your subscribers & customers. Email system and automations are yours forever. Get results or you get your money back. Each month we extract content from you (or someone from your team) and work together with you to craft content that is perfectly aligned with your brand, that your subscribers will look forward to opening. We can “extract” your content from a recorded interview done over your favourite app, a phone call or straight into a voice recorder — whatever get ideas out of your head and captured. Ramble, make mistakes, draw a blank, it doesn’t matter. All you have to do is talk. We do the rest. It’s our job to take your words, edit it down and transform it into something that can be used to build your brand. We type up all your recordings into content & use it to craft your emails and blog articles (with custom images and graphics that align with your brand). Every week, we’ll use your recordings to create content, promotional and social proof email create emails that your subscribers will actually open, read and click-through. We’ll create a Google Drive or Dropbox folder for you and your brand. All content will be spelling and grammar checked, then uploaded to the folder 7 days before the scheduled send date for you to review. You may request an unlimited number of changes to email content at no extra cost and emails are only sent once they have been approved by an authorized member of your team. The value being provided via email content to your subscribers will have them grow to know, like and trust your brand. Some of your subscribers that want to return the favour will do so by buying from your store. Of course we also send proven, promotional email that drives buyers to your store too. Nurture the relationship you already have with subscribers through valuable content. Provide social proof of your brands influence. Turn your subscribers into customers, repeatedly. When we do this for you, you’ll quickly find that the emails we send for you are paying for themselves. 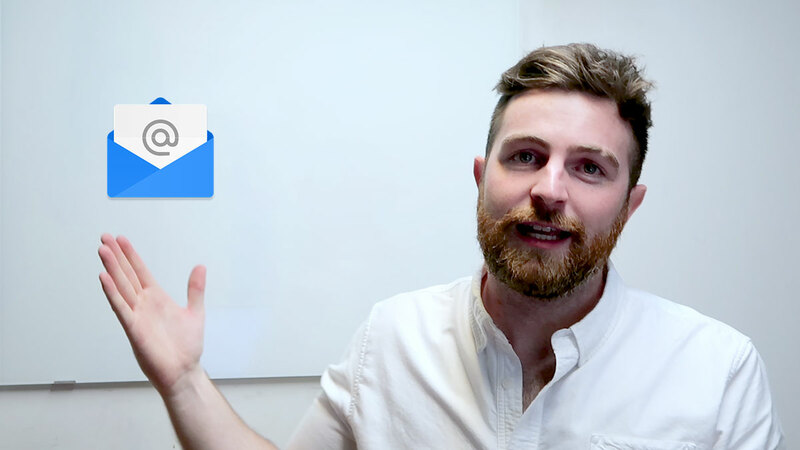 You’ll then get to the point where the advertising itself is profitable… and you’re essentially getting paid to build your brand through email. This just lets you grow your brand bigger and faster than ever. Our Email Marketing Service starts at $1,997 per month. This is not including the 1 off fee for setup of the Email Marketing Machine of $1,499. Clearly, this is not for beginners. If you’re an online retailer with an existing ecommerce store and a consistent revenue stream, we can create campaigns that amplify your sales and develop loyal customers in droves. And if you’re interested, keep your money. I don’t want you to pay us a cent until you and I are both 100% certain this is the best thing for your store right now. There’s no way either one of us can really know that unless we talk and get to know each other. And if we don’t, that’s fine. If you’re happy, I’m happy. It’s really that simple. So with that said, hit that big, blue button below and let me know when you’re free to talk. Once the setup fee has been paid, we charge a monthly retainer to maintain our service which starts at $1,997 plus a very small percentage of email marketing revenue. Creation of promos & sales, monitoring, testing, implementing & improving your email marketing campaigns. We charge a $1,499 setup fee for the installation of custom email marketing campaigns, segmentation triggers and automations. We have designed these systems ourselves, they’re our own intellectual property, but once you’ve paid for it, you own it forever! The setup process takes 2 weeks, as you can imagine, complex email marketing systems like ours take a little groundwork. If you want to increase the scale of your campaigns or the amount of emails we send out for you, then yes there will be an increase in cost, but not without prior notice and confirmation from you. Say for example, you want to execute a big product launch. We can assist with the Landing page setup and planning the campaign alongside you and your marketing team. This will of course require more resources be put towards your account (copywriters, developers, etc) and incur additional cost. Again, there is no need to worry, you will never be charged extra without prior notice and sign off from you. We also offer additional services like the setup and operation of Chatbots, if you’re interested, please contact us to discuss. Yep, of course you can do it yourself, anyone can do anything themselves. The question is how well can you do it? And yep, MailChimp, Klaviyo, Active Campaign… They are all the same thing, some are just better. We prefer klaviyo because we know how to get better results when it comes to ecommerce email marketing. Now, you can do it yourself, that’s fine, but do you really have the time to be emailing 3-4 times per week and growing your business? A successful business person once told me to learn the top 3 things that I do that makes my company money… Then narrow it to the top 2 and then the final thing that I do better than anyone else, that makes me money & grows the company… I want to ask you, is that email marketing for you? Of course it isn’t, so let us handle your email for you so you can focus on the 1 thing you do that makes you money! (Growing your store). How will you access my list? Some autoresponders require us to export a spreadsheet of your customers, which is very simple & takes literally seconds. Then we just drop it into your auto-responder & get to work. Either way is simple & completely hands off for you. How do I know your emails with align with my stores brand? Plus, when after create an email, we send you a preview that you can double check before giving us the go-ahead, so there’s absolutely no risk involved, really! Why is it a monthly service? We’ll also focus on optimising & maximising the automations we’ve set up. Finally, we’ll be sending weekly emails for you so that your list maintains HEALTHY and ENGAGED. This is key, as no matter the size of your list it’s about how ENGAGED your list is… This is where we come in. Or you can do this all yourself, weekly, but that would require time, focus & your store might end up losing money because you aren’t doing WHAT MAKES YOU MONEY, and neither of us wants that! If we are unable to satisfy you or provide a return on your investment, you will receive your money back. Every dollar.